The Only Bag you'll ever need! 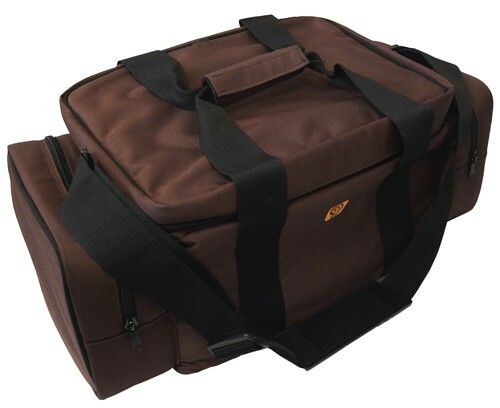 Designed for use with pistols, rifles and shotguns, the Universal Range Bag allows shooters to tote ammo and accessories for several types of guns in one convenient bag. The main compartment (36x25x20cm) is big enough to hold targets, accessories, magazine clips, choke tubes, ammunition and much more. In addition, the bag has two side pockets with removable fleece liners that open to a full 16" for handguns. The side pockets can double as accessory pockets with liners removed. 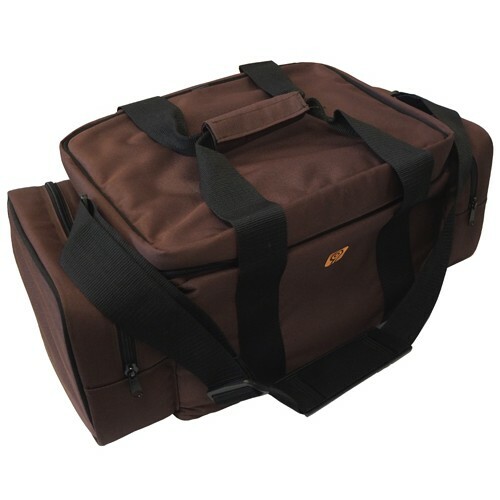 The bag is durable and waterproof with feet on the bag bottom to protect it against wear and wetness.